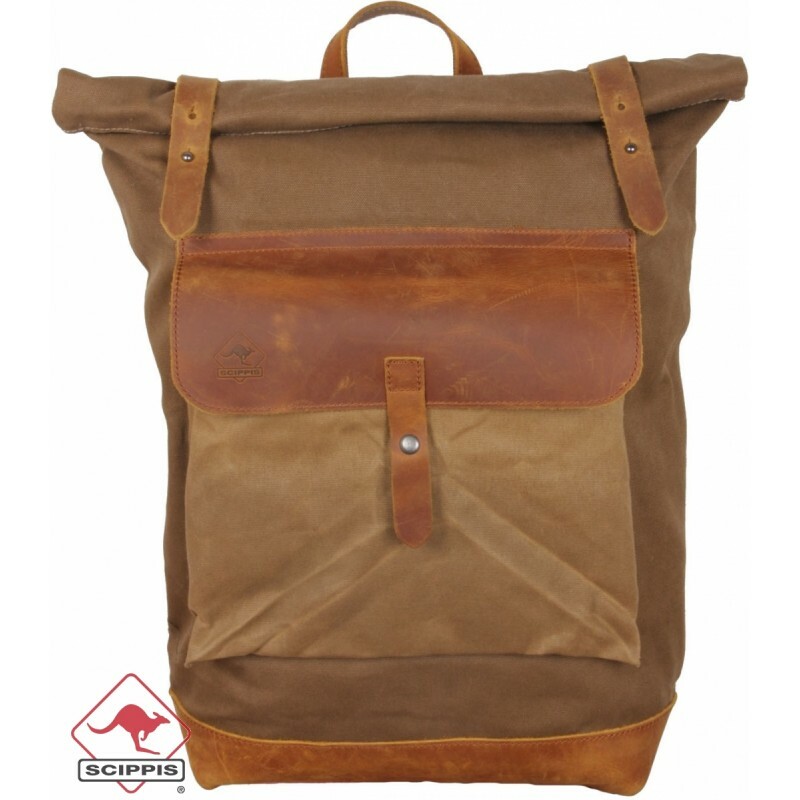 Beautiful canvas backpack in a very original design. 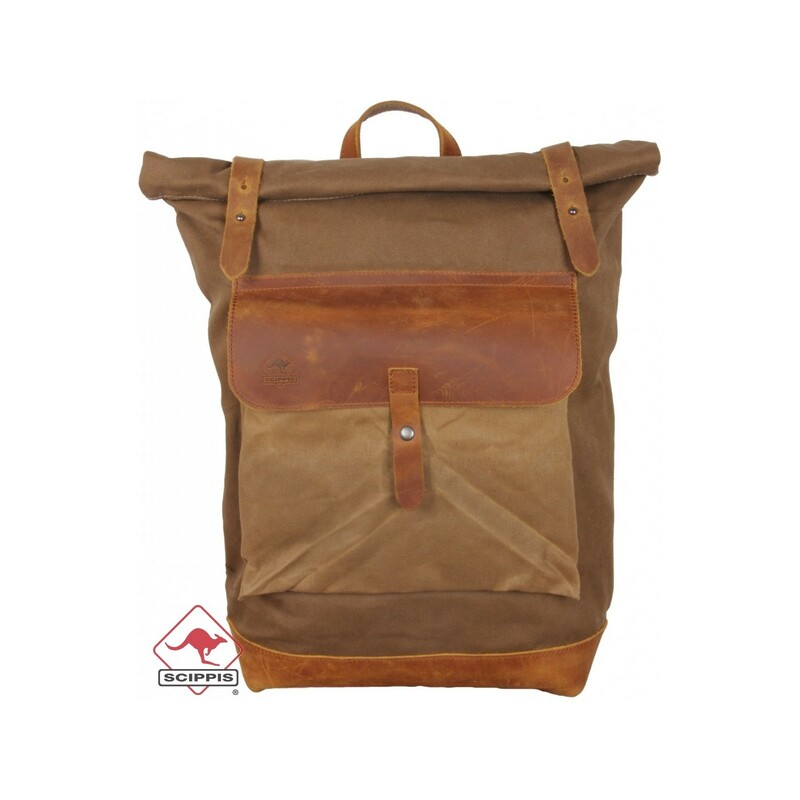 The combination of canvas and leather gives this bag an elegant and robust appearance. Moreover, this bag can take a beating! The front of the bag has a patch pocket with leather flap and magnetic closure. At the back of the bag there is a zip pocket and a strap to hold the bag in your hand. 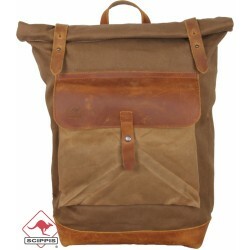 The inside of the backpack is covered with a beautiful brown fabric and has several pockets for o.a phone, keys, etc. The bottom of the backpack is reinforced, the shoulder straps are adjustable.